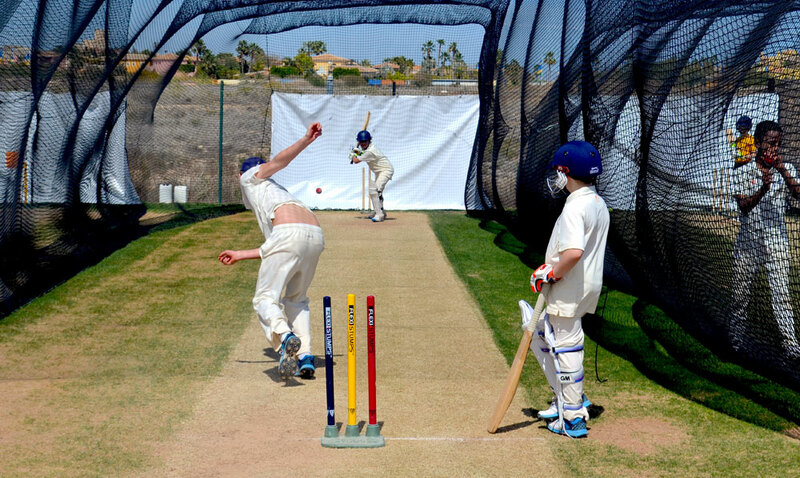 With the domestic cricket season drawing ever closer, twenty (20) members of Charterhouse School Cricket, accompanied by four (4) coaching staff are now back in England having completed a successful 5-day pre-season training camp between Monday 9th and Saturday 14th April at the Desert Springs Cricket Ground & Academy. 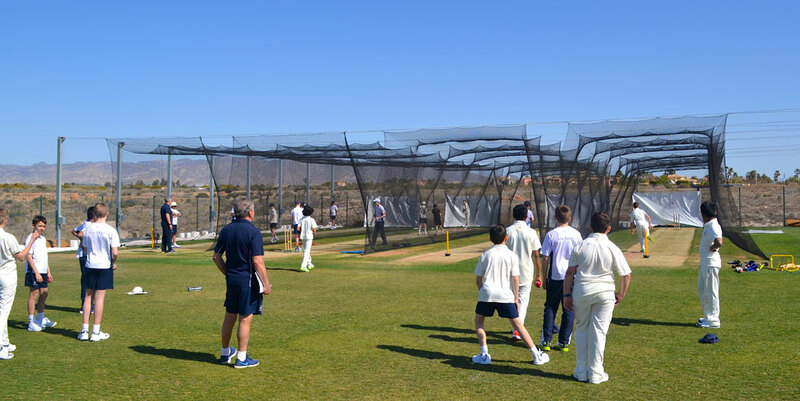 Charterhouse Director of Cricket Martin Bicknell and three (3) members of Charterhouse School Coaching Staff accompanied Twenty (20) players who completed bowling, batting and fielding practice as well as strength and conditioning training sessions and competitive matches on the new cricket ground, as they stepped up their physical preparations for the upcoming 2018 season. 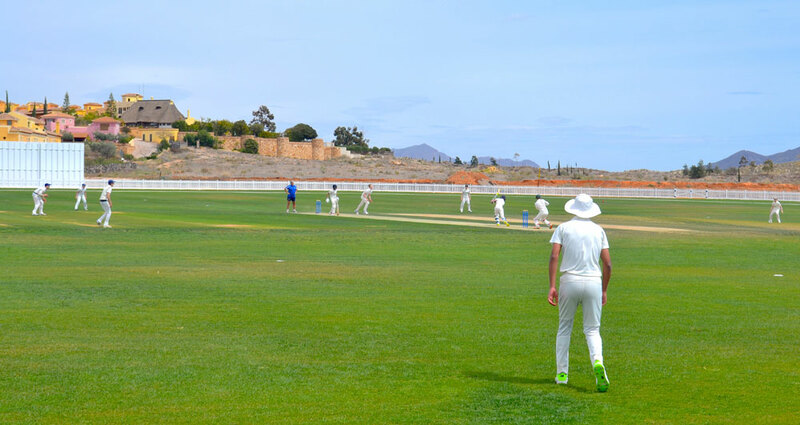 The Charterhouse squad also benefited from two (2) days use of the new Cricket Ground at Desert Springs, incorporating two competitive fixtures against the Rowse Academy XI who were also at the resort for their own pre-season preparations during the same period. The players and coaches were accommodated in some of the privately-owned apartments normally reserved for holidays and short breaks at Desert Springs and the resort’s executive chef was on hand to cater for the special dietary requirements of individual players dining in the Crocodile Club Restaurant. With the domestic cricket season drawing ever closer, twenty-two (22) members of Malvern College Cricket, accompanied by three (3) coaching staff are now back in England having completed a successful 4-day pre-season training camp between Monday 9th and Friday 13th April at the Desert Springs Cricket Ground & Academy. Malvern College Director of Cricket Noel Brett, with Malvern College Cricket Coach Richard Coughtrie and Sports Coach Liam Smith, accompanied Twenty-Two (22) players who completed bowling, batting and fielding practice as well as strength and conditioning training sessions and match simulations on the new cricket ground, as they stepped up their physical preparations for the upcoming 2018 season. 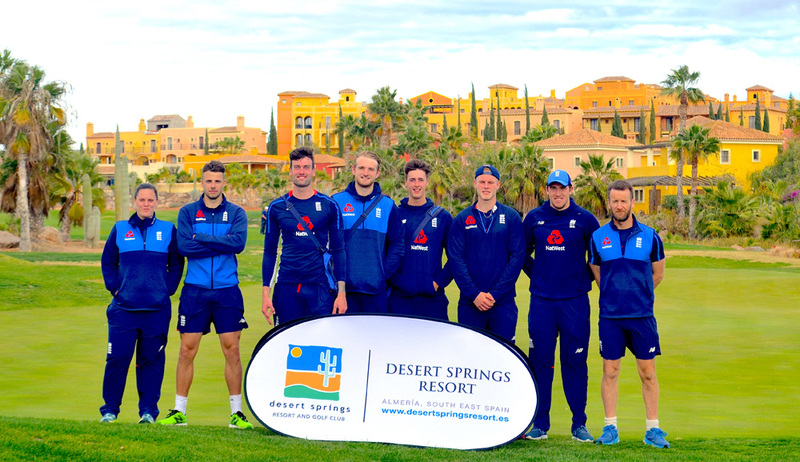 The squad also benefited from use of the new Cricket Ground at Desert Springs, incorporating specific practice sessions involving; throw downs, slip catch training and fielding exercises as well as match simulations. The players and coaches were accommodated in some of the privately-owned apartments and townhouses normally reserved for holidays and short breaks at Desert Springs and the resort’s executive chef was on hand to cater for the special dietary requirements of individual players dining in the Crocodile Club Restaurant. 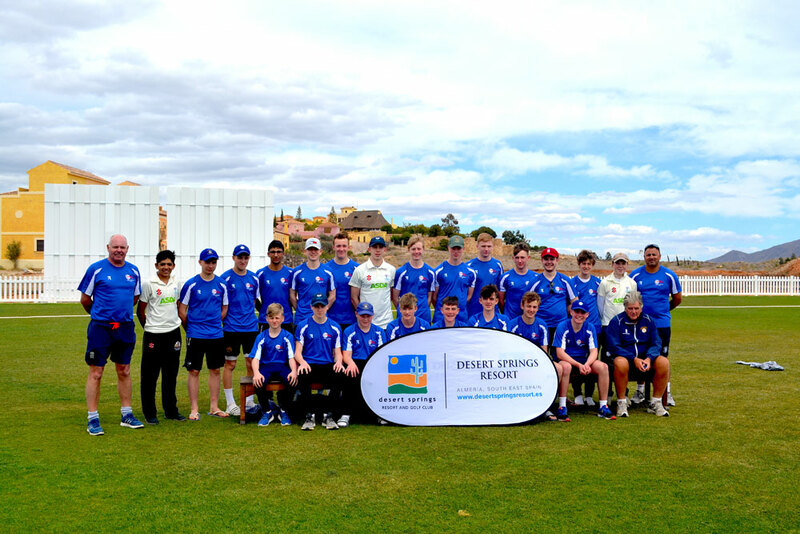 With the domestic cricket season drawing ever closer, twenty-seven (27) members of The Rowse Academy, accompanied by two (2) coaches are now back in England having completed a successful 5-day pre-season training camp between Sunday 8th and Friday 13th April at the Desert Springs Cricket Ground & Academy. Rowse Academy Cricket Coaches Andy Rowsell and Bob Wincer accompanied the players who completed bowling, batting and fielding practice as well as strength and conditioning training sessions and competitive matches on the new cricket ground, as they stepped up their physical preparations for the upcoming 2018 season. 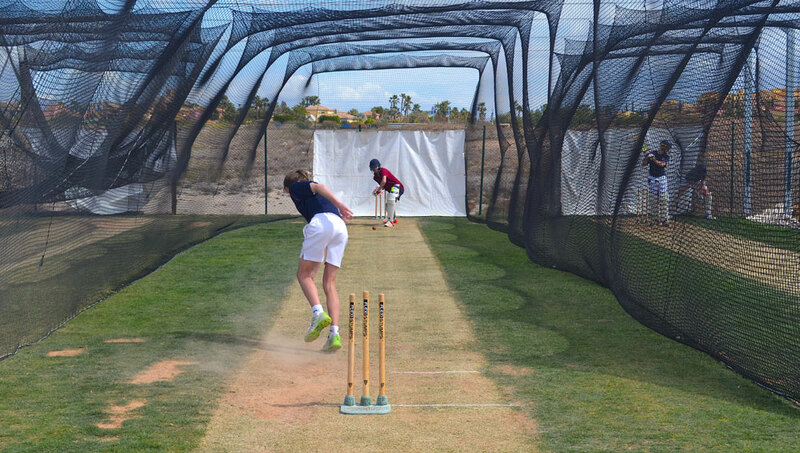 The squad also benefited from two (2) days use of the new Cricket Ground at Desert Springs, incorporating specific practice sessions involving; throw downs, slip catch training and fielding exercises as well as match simulations.Two fixtures for the Rowse Academy representatives to compete against the Charterhouse School XI who were also at the resort for their own pre-season preparations during the same period were also played, allowing for practice to be put into play! We stopped here for lunch today and ordered various dishes and the desert spring salad which was superb. The steak baguettes were tasty, and the kids enjoyed the burgers and hot dogs. Lovely setting and will return for dinner. With the domestic cricket season drawing ever closer, seventy one (71) members of the Whitgift School Cricket Squad, accompanied by ten (10) members of staff and coaches are now back in England having completed a successful 4-day pre-season training camp between Tuesday 3rd – Saturday 7th April at the Desert Springs Cricket Ground & Academy. Those were the views of Whitgift School Cricket coaches James McCann and Ben Morris, respectively. 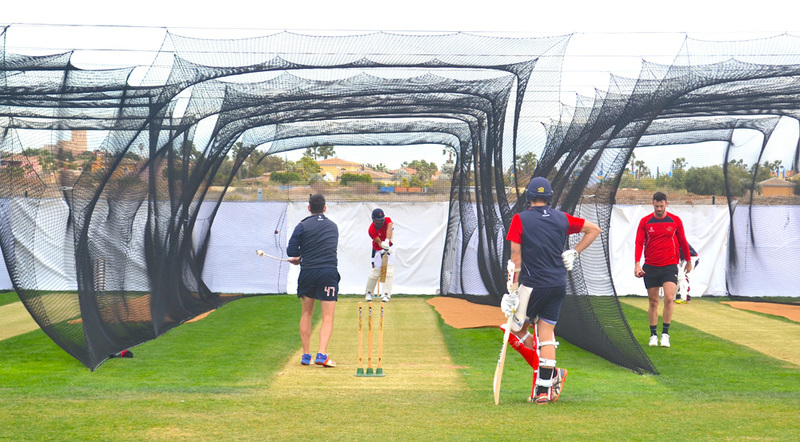 The focus of the training camp was to provide an opportunity for the players to both work seriously on their batting and bowling and fielding skills as well as their fitness levels, through a specific and carefully planned programme, to ensure that the players are in the best possible shape leading up to the commencement of the new season. 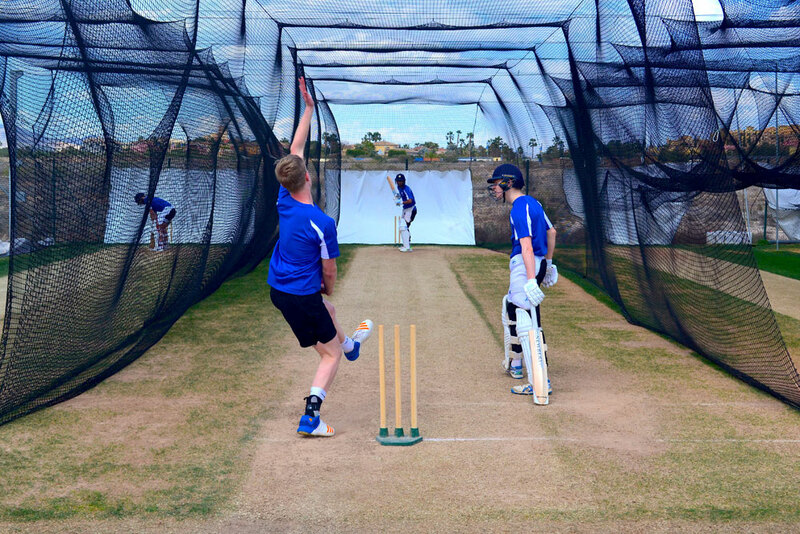 Grass net practice, both bowling and batting as well as strength and conditioning work, running, speed and agility work took place at the Cricket Academy. The squad also benefitted from 3-days use of the new Cricket Ground at Desert Springs with a varied programme that incorporated specific practice sessions involving; throw downs, slip catch training and fielding exercises as well as match simulations and matches. The players and coaches were accommodated in some of the privately-owned Apartments and Townhouses normally reserved for holidays and short breaks at Desert Springs and the resort’s executive chef was on hand to cater for the special dietary requirements of individual players at the ‘Crocodile Club’ Restaurant. With the domestic cricket season drawing ever closer, Twenty (20) members of the ECB Physical Disability Squad, accompanied by six (6) Management, staff and coaches are now back in the UK having completed their six (6) day pre-season warm weather training camp between Wednesday 28th March – Tuesday 03rd April at the Desert Springs Cricket Ground & Academy. 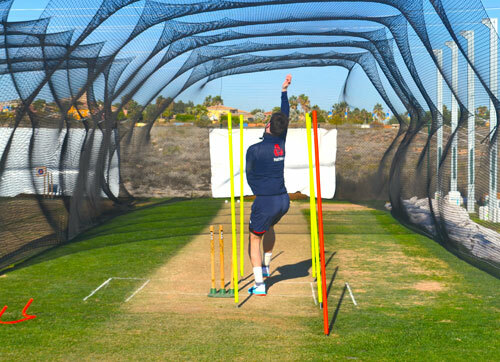 The focus of the training camp was to provide an opportunity for the players to both work seriously on their batting and bowling skills as well as their fitness levels, through a specific strength and conditioning programme, to ensure that the players are in the best possible shape leading up to the commencement of the new season. 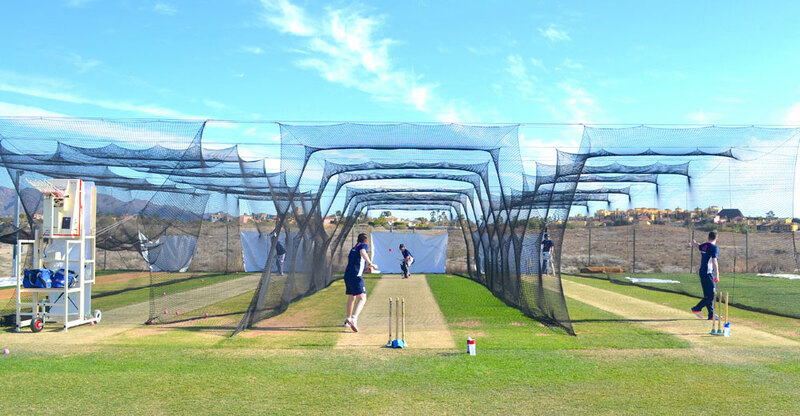 Grass net practice, both bowling and batting took place at the Cricket Academy, whilst strength and conditioning work, running, speed and agility work was completed at both the Cricket Ground and Gym at the Sierras Sports Club. 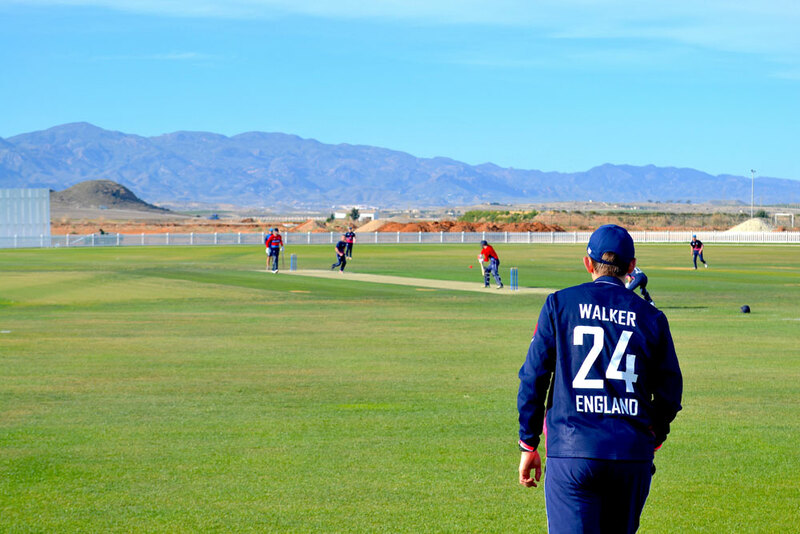 A varied programme at the cricket ground involved training sessions comprising; throwdowns, slip catch fielding, outfield fielding practice and match simulations that all culminated in T-20 matches taking place at the new cricket ground at Desert Springs. The players and coaches were accommodated in some of the privately-owned Apartments normally reserved for holidays and short breaks at Desert Springs and the resort’s executive chef was on hand to cater for the special dietary requirements of individual players at the ‘Crocodile Club’ Restaurant. 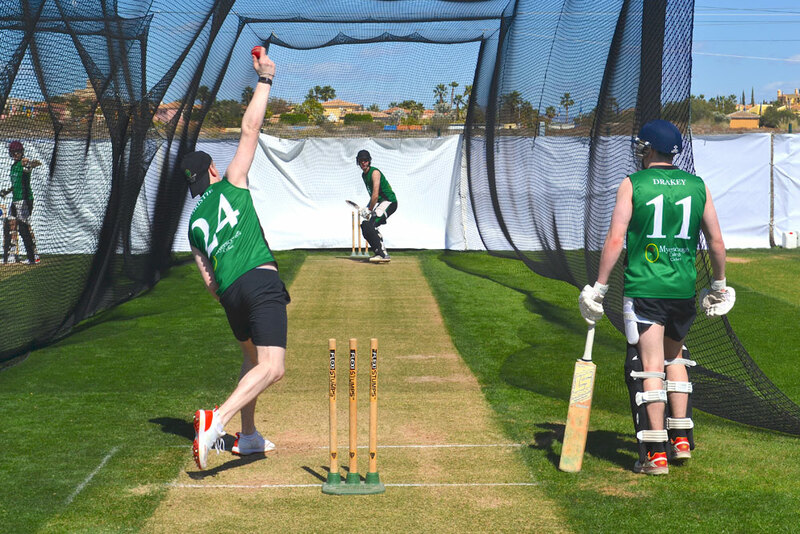 With the domestic cricket season drawing ever closer, New Farnley Cricket Club are now back in the UK having completed their three (3) day pre-season warm weather training camp between Tuesday 27th – Friday 30th March at the Desert Springs Cricket Ground & Academy. 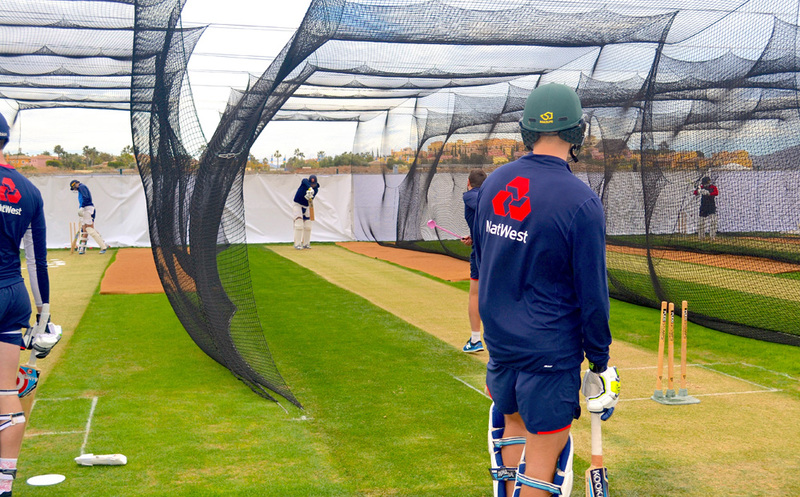 Grass net practice, both bowling and batting along with strength and conditioning work, running, speed and agility work took take place at the Cricket Academy. The players and coaches were accommodated in some of the privately-owned Apartments normally reserved for holidays and short breaks at Desert Springs and the resort’s executive chef was on hand to cater for the special dietary requirements of individual players at the award-winning ‘El Torrente’ Restaurant. 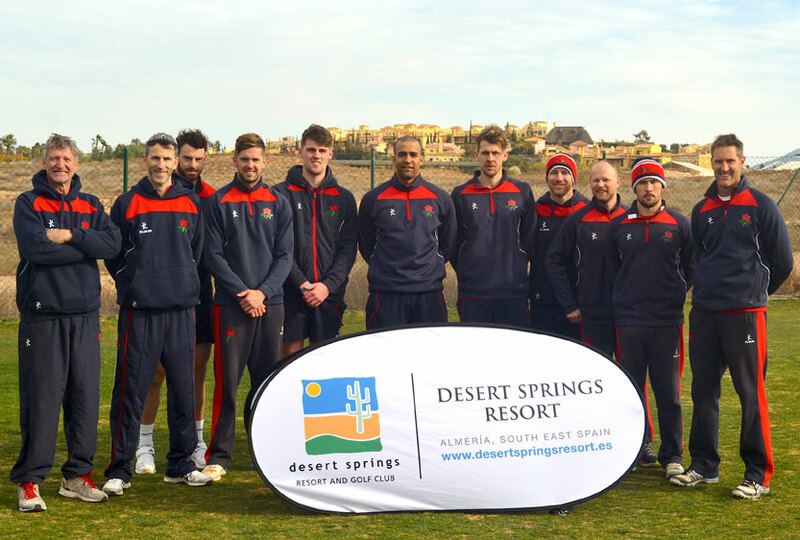 With the domestic cricket season drawing ever closer, Leicestershire County Cricket Club (Leicestershire CCC) are now back in the UK having completed their five (5) day pre-season warm weather training camp at the Desert Springs Cricket Ground & Academy. Between Saturday 17th – Thursday 22nd February Six (6) Leicestershire CCC management and coaching staff accompanied Sixteen (16) players who completed; grass net practice, both bowling and batting at the Cricket Academy, strength and conditioning work, running, speed and agility work at the Academy Ground and Gym at the Sierras Sports Club, and as part of their fitness programme the squad also completed a mountain bike trail route. The squad also benefited from the newly developed Cricket Ground at Desert Springs where they completed various practice sessions that included; throw downs, slip catch training and match simulations utilising the ground wicket. The players and coaches were accommodated in some of the privately-owned apartments normally reserved for holidays and short breaks at Desert Springs and the resort’s executive chef was on hand to cater for the special dietary requirements of individual players dining in El Torrente restaurant. 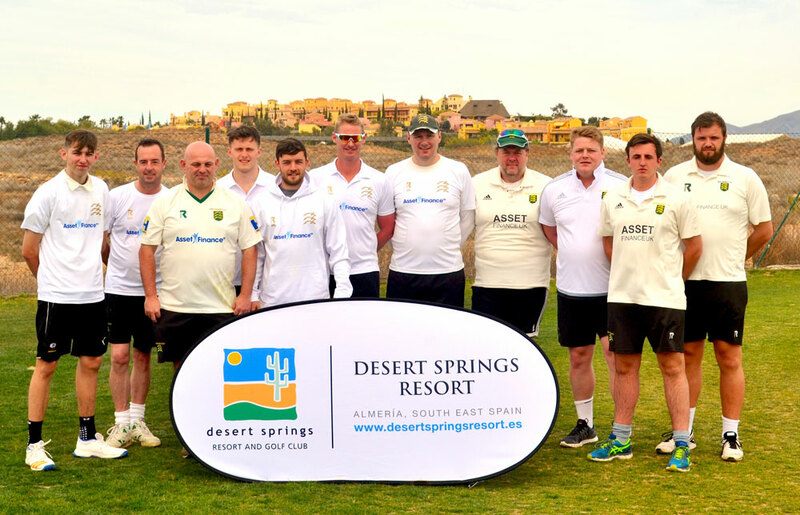 Liam Castellas (Head of Cricket) & Andrew Fletcher (Assistant Cricket Coach) along with Myerscough College Squad Members at Desert Springs Resort. Fifteen (15) members of the Myerscough Cricket Academy aged 16 -19 years, accompanied by two (2) coaching staff, are now back in England having completed a successful 5-day training camp between Sunday 11th – Friday 16th March at Desert Springs Resort, Europe’s only international award-winning luxury family resort and championship desert golf course with its very own dedicated Cricket Ground & Academy. 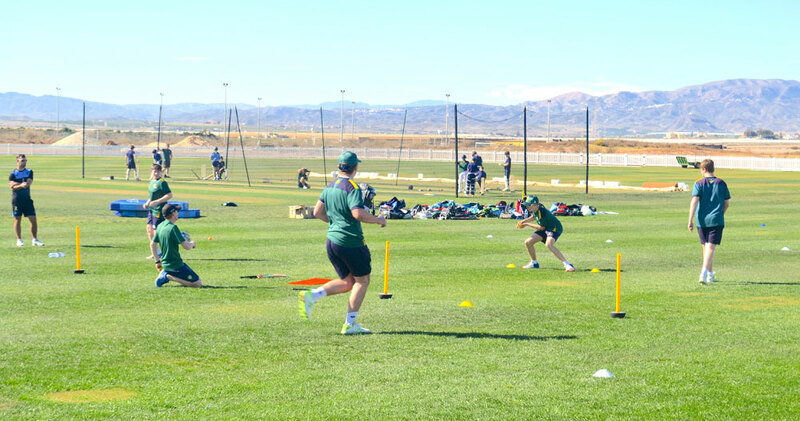 The focus of the training camp was to provide an opportunity for the players to both work seriously on their batting, bowling & fielding skills as well as their fitness levels, through a specific strength and conditioning programme, to ensure that the players are in the best possible shape leading up to the commencement of the new season. 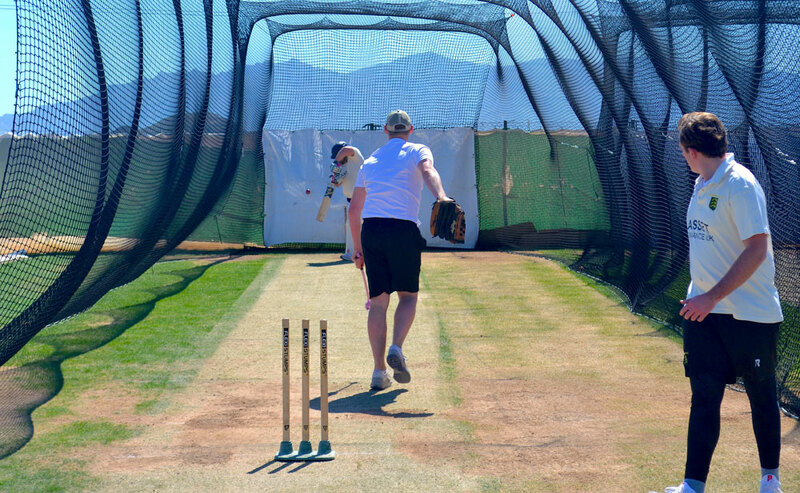 Grass net practice, both bowling and batting along with strength and conditioning work, running, speed and agility work took take place at the Cricket Academy and Gym at the Sierras Sports Club. The squad also benefited from putting into practice all of their hard work by competing in two matches at the Desert Springs Cricket Ground against; The Pinitar Pirates U/19 and Cataluyna U/19, both of which they won! 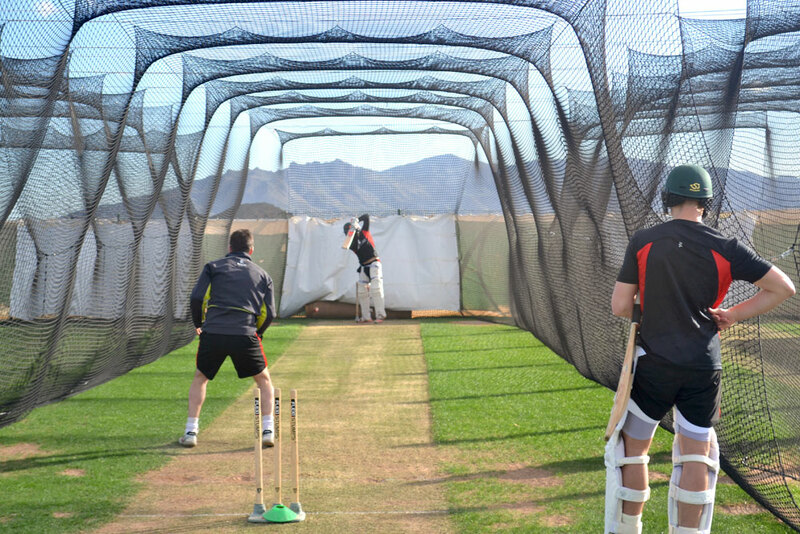 Lancashire County Cricket Club (LCCC) have stepped up their preparations for the 2018 cricket season, having completed their second four (4) day warm weather training camp at the Desert Springs Cricket Ground & Academy. Between Wednesday 28th February – Sunday 04th March, Sam Byrne (LCCC Team Physio) and Chris Benbow (LCCC 2nd XI Coach), accompanied nine (9) players who completed bowling, batting and fielding practice as well as strength and conditioning training sessions at Desert Springs Resort, Europe’s only international award-winning luxury family resort and championship desert golf course with its very own dedicated Cricket Ground and Academy, in the Almanzora region of Almeria, Andalucía in south-east Spain. The players and coaches were accommodated in some of the privately-owned villas and apartments normally reserved for holidays and short breaks at Desert Springs and the resort’s executive chef was on hand to cater for the special dietary requirements of individual players dining in The Crocodile Club Restaurant. Six (6) members of the ECB Pace Programme, accompanied by four (4) Management, staff and coaches are now back in England having completed a second successful 5-day training camp between Tuesday 27th February – Saturday 03rd March at Desert Springs Resort, Europe’s only international award-winning luxury family resort and championship desert golf course with its very own dedicated Cricket Ground & Academy. After their return from South Africa, the focus of the training camp was to provide an opportunity for the players to both work seriously on their batting, bowling & fielding skills as well as their fitness levels, through a specific strength and conditioning programme, to ensure that the players are in the best possible shape during their winter programme. 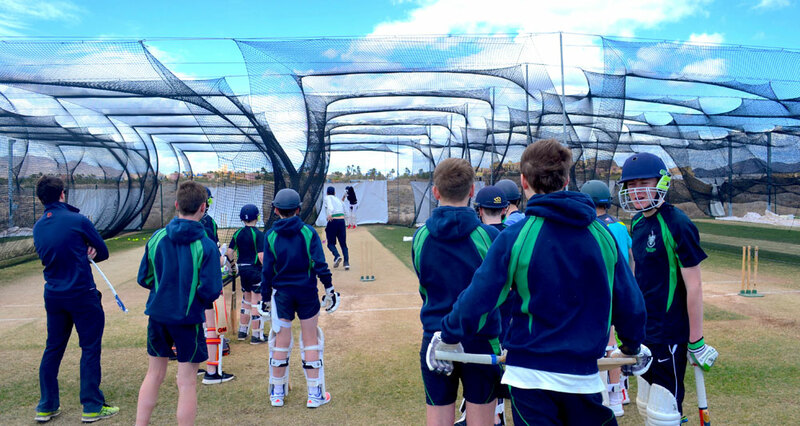 A varied programme of grass net practice, both bowling and batting took place at the Cricket Academy. Throw-downs, strength and conditioning work, running, speed and agility work were undertaken at both the Cricket Ground and Gym at the Sierras Sports Club. Tom Barber; “Desert Springs is a great place. We were all extremely well looked after. 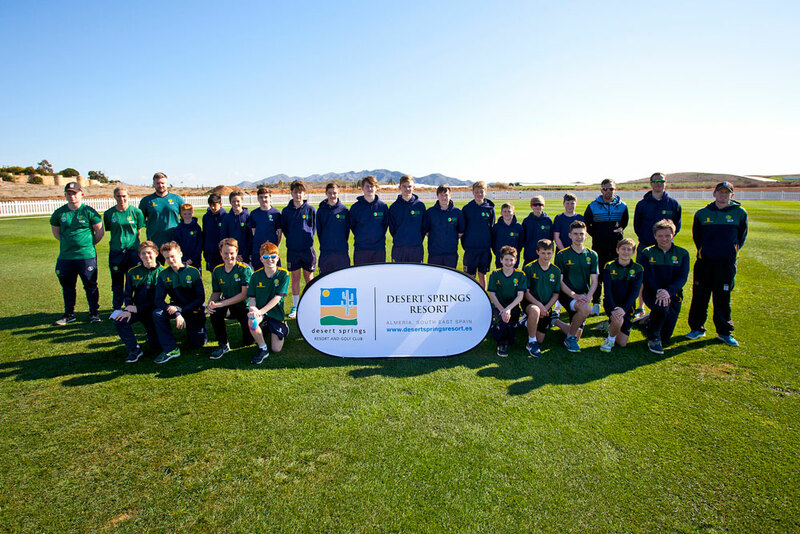 With the domestic cricket season drawing ever closer, The Guernsey Cricket Board (GCB) have now completed their five (5) day pre-season warm weather training camp at the Desert Springs Cricket Ground & Academy. Between Sunday 18th – Friday 23rd February Five (5) GCB management and coaching staff accompanied Twenty-Two (22) U’17 players who completed; grass net practice, both bowling and batting, strength and conditioning work, running, speed and agility work, slip catch training and out-field fielding exercises with match simulations at the new Cricket Ground at Desert Springs Resort. The training camp worked on a specific and carefully planned programme covering technical skills, strength and conditioning and both individual and group activity that included volleyball and football during non-cricket time. 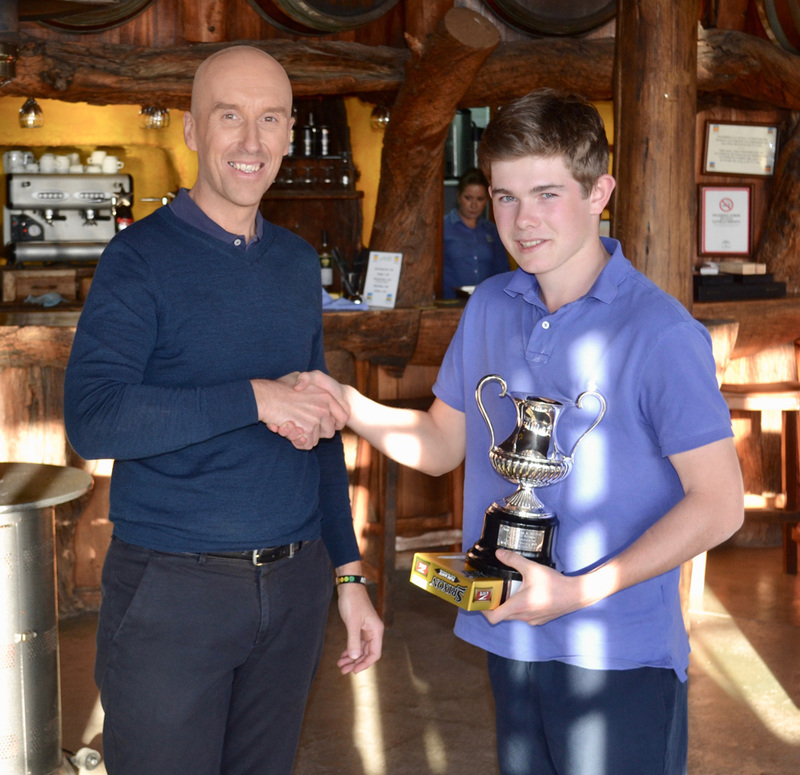 “This is possibly the best place to improve your game, amazing!” Nathan Le Tissier, aged 15 years. “The resort has very nice accommodation and amazing cricket facilities!” Sam Gates, aged 12 years. “For a brand-new pitch, it was brilliant, and so well cared for.” Blake Carre, aged 13 years. “To say I was impressed with the facilities would be an understatement!” Harry Gent, aged 13 years. This has been a great experience with great facilities and really nice staff. I would recommend it for any age group and ability.” Max Johnson, aged 16 years. The players and coaches were accommodated in some of the privately-owned apartments normally reserved for holidays and short breaks at Desert Springs and the resort’s executive chef was on hand to cater for the special dietary requirements of individual players dining in the Crocodile Club. Following on from the successful completion of their first of two scheduled training camps earlier this month, between Tuesday 13th – Saturday 17th February, three (3) officials from the Irish Ladies Golf Union (ILGU) accompanied eight (8) players representing the U18 and U21 International squads to complete their second 4-day warm weather winter training camp at Desert Springs Resort. That was the verdict of 24-year-old Paula Grant, one of the ILGU International Squad members. 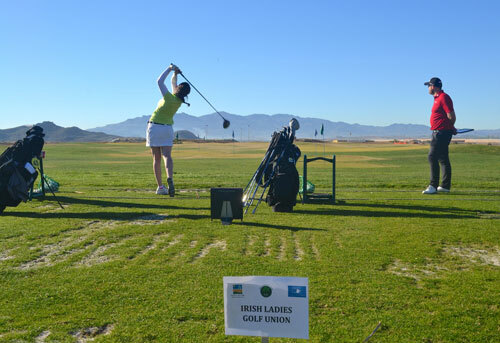 The training camp utilised the excellent practice facilities at the Desert Springs Golf Academy, where the ILGU Coaches were able provide one-to-one tuition and take advantage of the use of the Desert Springs short game academy, prior to the players taking their games to The Championship Indiana Course. The players and officials were accommodated in some of the privately-owned villas and apartments normally reserved for holidays and short breaks at Desert Springs and the resort’s executive chef was on hand to cater for the special dietary requirements of individual players dining each evening in El Torrente Restaurant. Eighty-six (86) full time students accompanied by sixteen (16) coaches and staff representing; Millfield, Bradfield, Loretto, CT Sports, Reeds, Lancing & Whitgift School, competed in the ‘V Desert Springs & Millfield European Schools Team Championships’ at the Desert Springs Resort between Sunday 11th to Wednesday 14th February 2018. 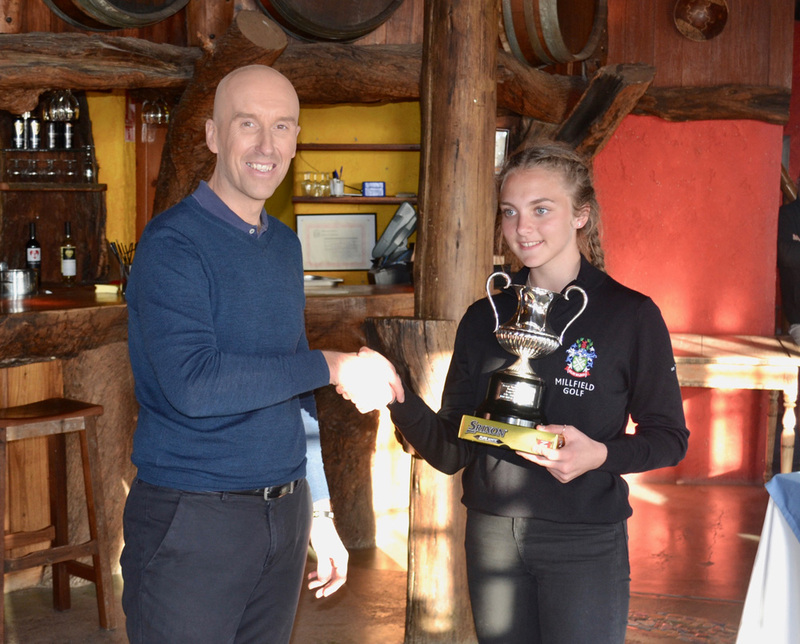 The Team Championship was open to boys and girls of all ages with a maximum handicap of 24 and was held over 3 days (54-Holes). For tournament day one & two the format was 4 Ball-Better-Ball Pairs Stabelford Points. 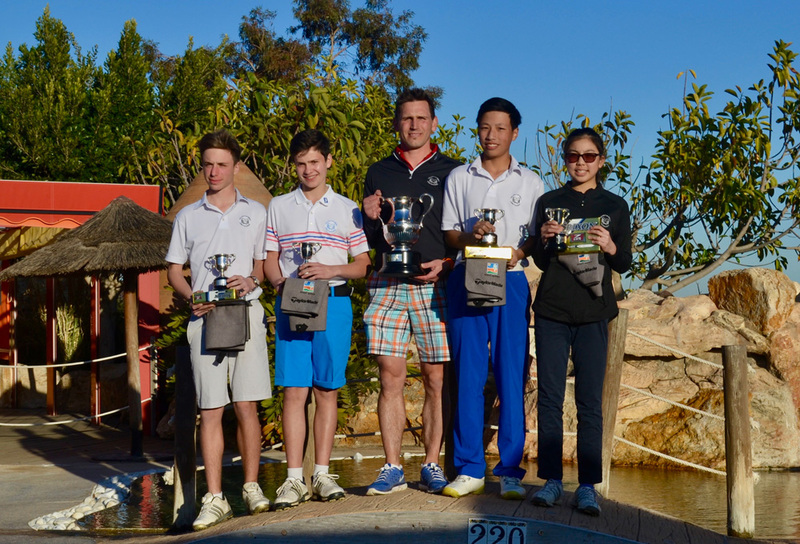 The format for tournament day three was team individual Stableford Points Scores being combined to achieve the Teams accumulative Stableford score. The students, coaches and school staff were accommodated in some of the privately owned Apartments, Townhouses and Villas normally reserved for holidays and short breaks at Desert Springs and the resort’s executive chef was on hand to cater for the special dietary requirements of individual players dining in the Crocodile Club and El Torrente Restaurant. In my capacity as one of only two Bull 3D qualified biomechanics instructors globally and one of only 7 UKCC ASQ Level 4 coaches in the UK I travel a great deal. I am indulged and fortunate to be hosted by some of the finest resorts and clubs on the planet and have become accustomed to first class service. As a student working through A Levels I was involved in the catering industry, working in many restaurants and numerous food and beverage organisations, so also feel I am well positioned to recognise quality service and food when I am exposed to it. I am also a performance coach at Foxhills Resort (double rosette) and the PennyHill Park Resort (Michelin star). 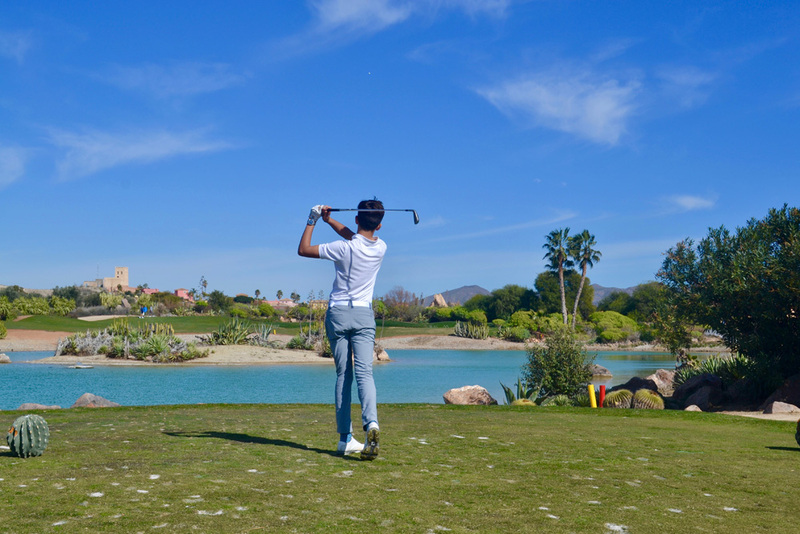 In my capacity as head coach for Reeds School we recently visited Desert Springs resort. 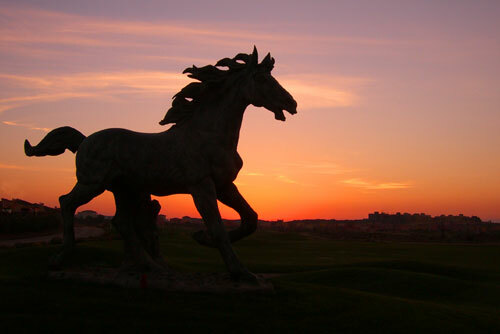 It is not often that you feel compelled to write to the managers of an organisation, but the level of service that I experienced at Desert Springs has compelled me to write to you sir. Professional, friendly, willing to go above and beyond normal requirements, efficient, attentive, caring, motivated, passionate, organised……I could go on and on. What I experienced, witnessed and the discussions I overheard and had with others left me in no doubt that what I had experienced was equivocal and indeed above what I have experienced anywhere in the world. This a view shared by everyone I talked to. I want to thank you and your staff for what was one of the most impressive demonstrations of how to treat customers that I have ever witnessed and experienced. They are a credit to you sir and you are a credit to the owners of your resort. I would recommend your resort without reserve to any of my clients and will look forward to returning. You really must be commended for your achievements. Truly first class, professional service. The newly developed Desert Springs Cricket Ground at Desert Springs Resort scheduled to open later this month to be host to its first game! 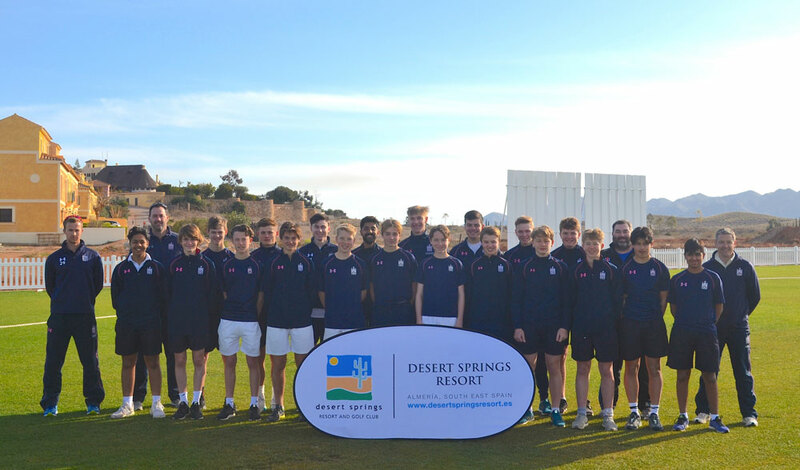 With the domestic cricket season drawing ever closer, Lancashire County Cricket Club (LCCC) are now stepping up their preparations for the 2018 campaign, having completed the first of two separate four (4) day warm weather training camps at the Desert Springs Cricket Academy. Between Wednesday 7th – Sunday 11th February, Mark Chilton (LCCC Coach) and David Roberts (Lancashire County Cricket Clubs official medical services partner), accompanied nine (9) players who completed bowling, batting and fielding practice as well as strength and conditioning training sessions at Desert Springs Resort, Europe’s only international award-winning luxury family resort and championship desert golf course with its very own dedicated Cricket Ground and Academy, in the Almanzora region of Almeria, Andalucía in south-east Spain. 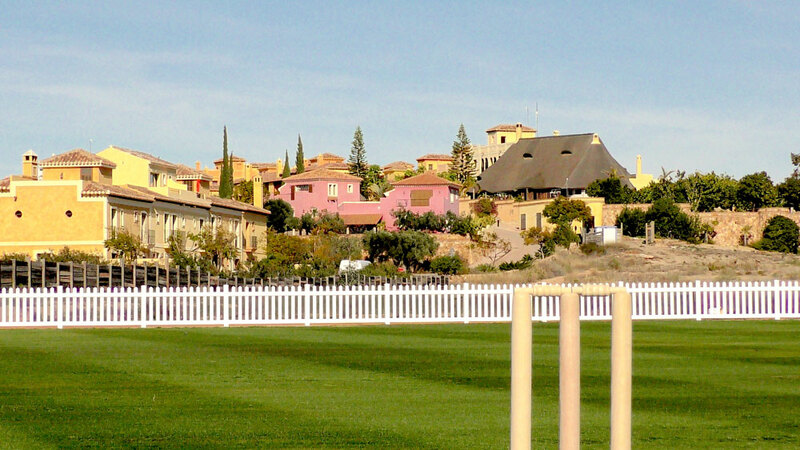 The players and coaches were accommodated in some of the privately-owned villas and apartments normally reserved for holidays and short breaks at Desert Springs and the resort’s executive chef was on hand to cater for the special dietary requirements of individual players dining in El Torrente Restaurant. 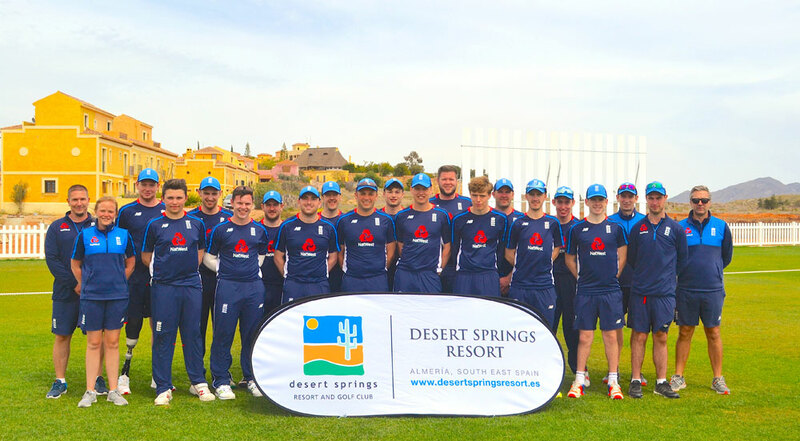 Lancashire CCC will be returning to Desert Springs between Wednesday 28th February – Sunday 04thMarch 2018 to complete their second pre-season training camp. 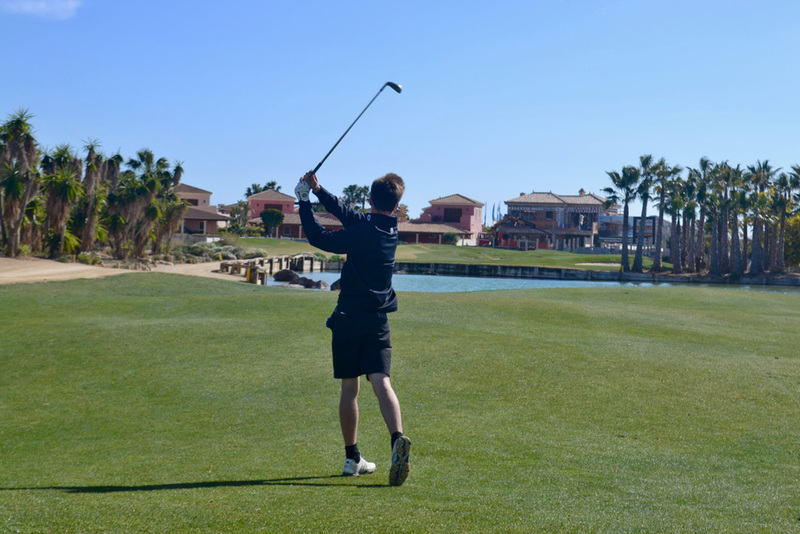 Between Sunday 04th – Friday 09th February three (3) officials from the Hartpury College Golf Academy accompanied twenty-nine (29) students to complete their 5-day warm weather winter training camp at the Desert Springs Resort, Europe’s only international award-winning luxury family resort and championship desert golf course, in the Almanzora region of Almeria, Andalucía in south-east Spain. The training camp utilized the excellent practice facilities at the Desert Springs Golf Academy where the PGA Instructors were able provide one-to-one tuition and take advantage of the use of the Desert Springs short game academy prior to the players embarking on their rounds on The Indiana course. The players and officials were accommodated in some of the privately-owned apartments normally reserved for holidays and short breaks at Desert Springs and the resort’s executive chef was on hand to cater for the special dietary requirements of individual players dining each evening in the ‘The Crocodile Club’ Restaurant. 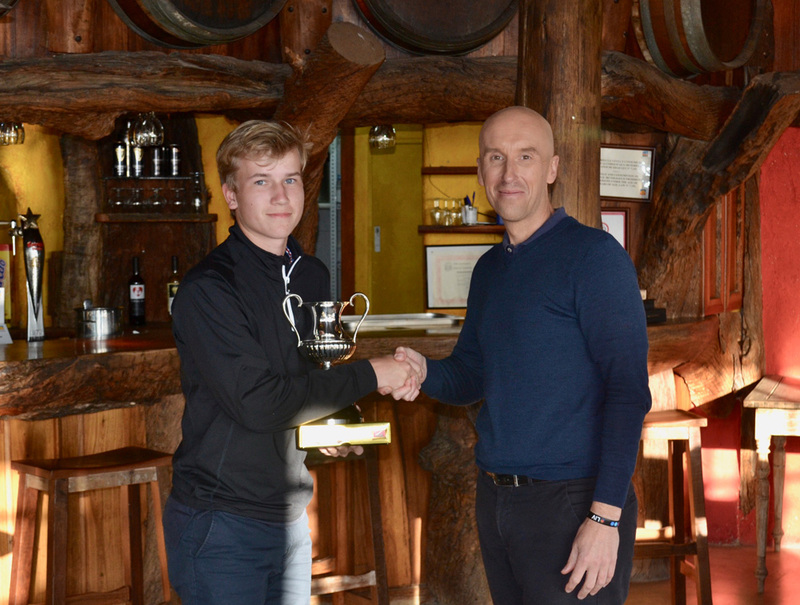 Those are the verdicts of Adrian Mylrea and Alex Sadler respectively, both 17-year-old full time students from the Hartpury College Golf Academy. The course was excellent as were the practice facilities. Eight (8) members of the ECB Pace Programme, accompanied by four (4) Management, staff and coaches are now back in England having completed a successful 5-day training camp between Saturday 9th – Thursday 14th December at Desert Springs Resort, Europe’s only international award-winning luxury family resort and championship desert golf course with its very own dedicated Cricket Ground & Academy. The focus of the training camp was to provide an opportunity for the players to both work seriously on their batting, bowling & fielding skills as well as their fitness levels, through a specific strength and conditioning programme, to ensure that the players are in the best possible shape during their winter programme which includes warm-weather training in South Africa early next year at the High-Performance Institute for Sport at North West University’s Potchefstroom campus. After their return from South Africa, The Pace Programme will be returning to Desert Springs Resort once again from February 27th – March 3rd, 2018. “Many thanks for a fantastic week. 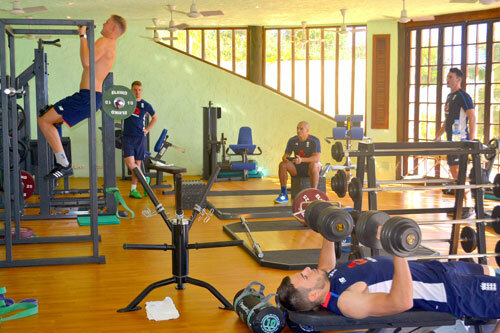 The gym facilities have now been taken to a new level, absolutely perfect for an elite training camp. Oundle School footballers are now back in England having completed a successful five (5) days of warm weather football and fitness training between Tuesday 2nd – Sunday 7th January at Desert Springs Resort, Europe’s only international award-winning luxury family resort and championship desert golf course with its very own dedicated Football Academy, in the Almanzora region of Almeria, Andalucía in south-east Spain. Thomas Galbraith (Oundle School Football Coach) along with four members of supporting staff, accompanied twenty-five (25) players who completed strength and conditioning training and football practice and skills sessions as they stepped up their physical preparations for the upcoming season. The training camp worked on a specific and carefully planned programme covering technical skills, strength and conditioning and both individual and group activity. 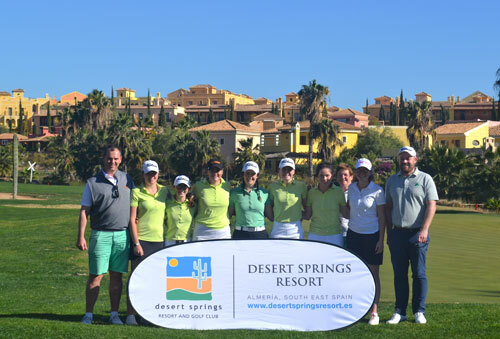 Between Tuesday 2nd – Saturday 6th January three (3) officials from the Irish Ladies Golf Union (ILGU) accompanied seven (7) players representing the U18 and U21 International squads to complete the first of two scheduled 4-day warm weather winter training camps at the Desert Springs Resort, Europe’s only international award-winning luxury family resort and championship desert golf course, in the Almanzora region of Almeria, Andalucía in south-east Spain. 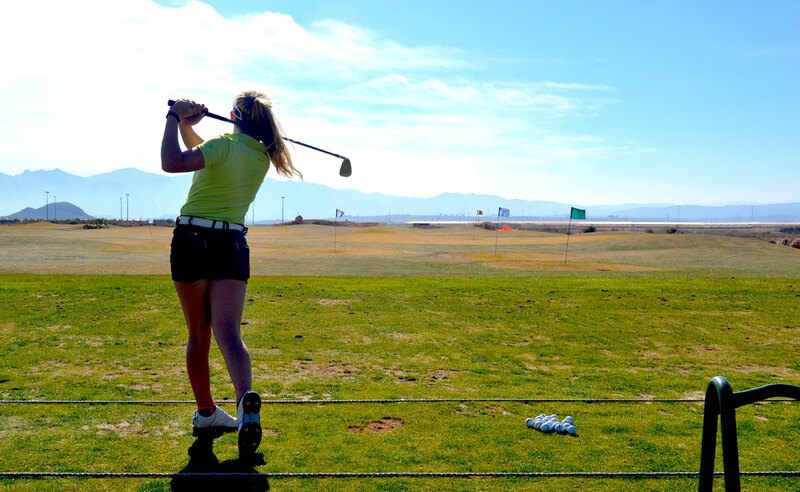 The training camp utilised the excellent practice facilities at the Desert Springs Golf Academy, where the ILGU Coaches were able provide one-to-one tuition and take advantage of the use of the Desert Springs short game academy, prior to the players taking their games to The Championship Indiana Course. The players and officials were accommodated in some of the privately-owned apartments normally reserved for holidays and short breaks at Desert Springs and the resort’s executive chef was on hand to cater for the special dietary requirements of individual players dining each evening in El Torrente Restaurant. That was the verdict of 16-year-old Annabel Wilson, one of the ILGU International Squad members.